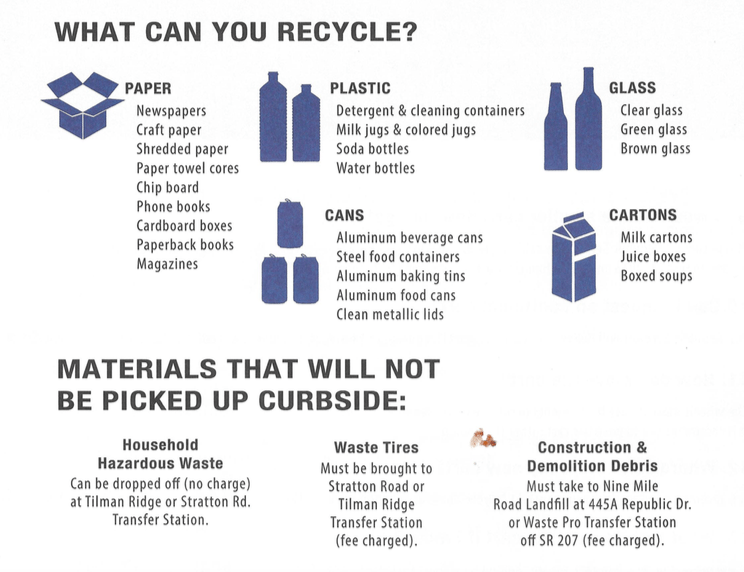 Republic Services just released a flyer about the upcoming recycling change in our area. If you haven’t been paying attention, St Johns is switching to one large 95-gallon cart rather than the small blue bins. No sorting is necessary, which is comical for me, as I’ve never sorted. Oops. Bins will be delivered between June 1 and July 3. Service begins July 6, and they will start picking up your old bins then as well. Here’s a link to the flyer for more details. Recycling isn’t just glass and cans. You can also recycle milk cartons, juice boxes, all kinds of paper, and magazines. Below is a complete list of what you can recycle. Fill those bins up!